This entry was posted on Thursday, February 5th, 2015 at 5:54 pm and is filed under Uncategorized. You can follow any responses to this entry through the RSS 2.0 feed. You can leave a response, or trackback from your own site. So I’ve been running Ubuntu 14.10 on the Windows version for about 1.5 weeks. Figured I’d post my experiences so far. All that said, if you can, I’d really wait until the actual Linux version is released so you can show Dell there is demand for Linux laptops! I do not want Lennart’s Linux, no matter if it is Ubuntu flavoured or any other Linux flavour. What are the options for a real Macbook Air killer with FreeBSD as an option? What I understand there is no real hardware changes between the current Windows version and the Ubuntu version, right? The plan was to order the laptops last week but I’m trying to delay it because of the release of XPS 13 with Ubuntu. It’s getting more and more urgent and the question if you could say if “soon” is as in days or as in weeks? My current fallback is the windows version and install Ubuntu manually.. Or do like the rest of the crew, use a Mac. But I rather not be forced into that. I also really need to know if ‘soon’ means days or weeks? I’m up against some deadlines and have been stalling in the hope that XPS 13 with Ubuntu would be out in the first half of February; if it isn’t, then I’ll sadly be forced to go another direction. I understand that hard-and-fast, exact-date statements are difficult to make, but are we talking about a release within a week or several weeks down the road? Thanks guys for all of your hard work; I know that people will always gripe about this or that (why Ubuntu, why no BSD, etc.) but what you and Dell are doing is heading very much in the right direction of choice and against monopolies. Thanks for the props! Unfortunately we dont have an ETA for the fixes. We’re working as fast as we can 🙂 Hope to have good news soon. Hope to have some good news soon. Thanks for the faith. The order for new machines are going to be done tomorrow. I have 2 options that I see it. 1) buy the xps 13 Windows edition and install Ubuntu manually. 2) Follow the rest of the developers in my company and get a Macbook Air. To be able to choose #1 I need to know if the developer edition will have the same hardware when it’s released later on. #2 all things custom to the developer edition will be available for me that bought the windows version and manually installed Ubuntu. Good news. Will this new Gen of Sputnik support Fedora 21 workstation (or 22)? It works with Fedora 21 now provided you can workaround a touchpad and sound issue. Thanks for your work/contributions. I tried linking your site earlier today, but couldn’t do so from work. I’ve been loosely following the Fedora compatibility development as it will go a long way towards whether or not I get a couple of XPS13s vs. the new X250. Hey, will the 2015 XPS 13 developer edition be available in Germany as the Precision M3800 developer edition ist no which is a pity in my opinion. Both the XPS 13 and M3800 dev editions will be available in Germany (and Europe in general). We’ve had some glitches on the M3800 side with getting it on the site but that should be taken care of next week. Hey, today i was in the german support chat on the Dell website. i asked for the XPS 13 with Ubuntu. They told me that the new XPS 13 will not be available in Germany. That isnt true. It will be available in Germany as soon as we fix the bug. I already placed my order for the new Broadwell XPS 13 and plan to reformat with Linux the day I get it. I’m sorry to hear there are problems with Linux (hopefully fixed soon). Any advice on using Fedora vs Ubuntu? I was going to buy a Mac as I prefer Mac OS as my *nix workstation OS, but this hardware is so much nicer than Apple’s hardware, I had to buy this. I am excited to support the Sputnik project. Waiting to buy the pre-loaded version. I’m also in the need of getting a new Linux friendly laptop, and I am interested by the new XPS 13 512G version. However my company require hardware encryption to be supported for the SSD. I cannot find any information related to that : neither Google nor Dell support seems to be able to answer this question. No idea about the drive itself, but shouldn’t AES-NI in the processor count as hardware encryption? If they are willing to work with that, you can reinstall Ubuntu with LUKS full-disk encryption, and use a passphrase on startup instead fo a TPM module to decrypt. That would work indeed, and I will probably do this as a last resort. Still, it would be nice to have detail on the hardware we buy, and to know for sure whether a given feature is going to be supported ! Hi Barton, thank you for confirming the XPS 13 DE version for Europe! I wasn’t sure. Can you clarify or give some hints about the available DE hardware configuration(s), i.e. FHD/QHD, RAM, CPU? Are there any plans to package the patches, so that they can be installed on compatible systems (xubuntu/debian)? What about completely different distros (arch/fedora)? This is my main issue with this whole Sputnik project. They don’t provide clear instructions, PPAs, packages, etc. after installing a fresh copy of Xubuntu or even regular Ubuntu to get everything working. 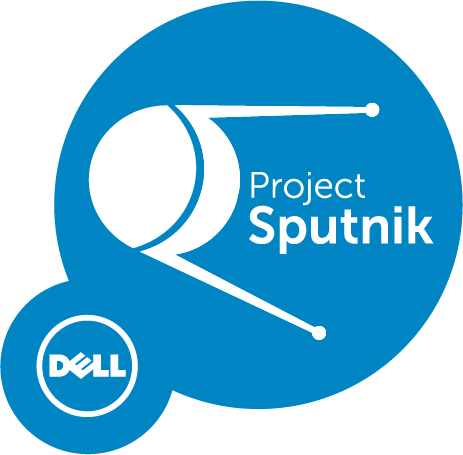 The original Sputnik had a PPA to install non-mainline drivers but configuration instructions on how Dell set up their factory install doesn’t exist. There’s some vague splattering of information on Dells website but they’re severly outdated or not at all clear. For people who plan on even installing Ubuntu themselves on these Dell notebooks, aren’t better off than just going with any other OEM. And when (and also where) would this be available for the public? I would like to use Kali Linux / clean debian on it. Is the 4.0 Linux-Kernel required, or could I use also the original Kali Kernel (actually 3.19)? Thanks for the post. I’ll be buying this the minute it’s available. Hi Barton, are we days, weeks or months out from a release? I think you meant to ask if it will arrive soon, in the near future or before long. A general remark: I would love to see Dell supporting Linux and open source much more. Dell could get a lot of positive attention and praise from the open source community, and – of course – a lot of new customers. Did you guys stop shipping XPS13 developer laptop edition? My friends bought the same couple of weeks back,and I was planning to buy one, however, your customer rep appeared little rude, when i was looking for help. Hence,I am reconsidering my thought. Posting the transcript, for anyone else to see. Thanks for choosing Chat to assist you in making your purchase on Dell.com. A Dell.com Chat Expert will be with you shortly. Check out current deals at http://deals.dell.com/. We apologize for the delay. Due to high volumes, we are experiencing slightly longer wait times. A Dell.com Chat Expert will be with you as soon as possible. Check out current deals at http://deals.dell.com/. Welcome to Dell US Chat! My name is Darwin and I will be your Home System Sales Chat Expert. I can be reached at US_DHS_CHAT_REPLY@DELL.COM . How may I help you with your purchase today? Hi there..How are you doing today ? I hope everything is doing fine. I’m really glad that you chatted in today and I am happy to assist you ..
We no longer offer laptops or desktop with this kind of Operating system, if you need Linux you need to refer to our Small Business site dept. for this matter since they still offer is as an option on to their laptops and desktops..
really, i thought dell had xps developer edition? I do not intend to rush you, are you getting my messages and are we still connected? We no longer offer laptops or desktop with this kind of Operating system, if you need Linux you need to refer to our Small Business site dept. for this matter since they still offer is as an option on to their laptops and desktops. Please tell me how do i select the linux version of xps 13 from the website you gave? It is not an OPTION!!!! are you stating dell doesnt offer linux laptop anymore? Can you read what I have posted twice?? It was a pleasant experience chatting with you. Please be the first one to disconnect the chat. Wow Nara, I really apologize. Which country are you in and ill post a link for you. I really appreciate your response. I am located in Chicago USA and was staunch follower your project Sputnik. Clicking the link which rep gave me, I do not see developer laptop listed. I just checked the site [http://www.dell.com/us/business/p/xps-13-linux/pd.aspx] and you’re right it seems to have fallen off. I have alerted the team and they are on it. Clicking the link you put in response – still says “laptop is not in stock, and i should contact sales rep”.I would wait until someone fixes this. Would i get some update from Dell once issue is fixed? I believe ordering the laptop should be straightforward process without any hiccups. I think i would wait, or buy a windows 2015 model, and wait until dell releases stable ubuntu 14.04 with all bugs fixed, to install them. Nara, thanks to you’re bringing it up we are working on this. (IM not sure the exact issue) Thanks for your alerting us! Barton, your site is still broken. There is no way to order Dell XPS developer edition online. Called rep, they told us it is out of stock. Do you have an ETA for this issue to get fixed? From past few days, i am trying to order a laptop, and this is getting frustrating. I do need a laptop before end of this month. Other option i am exploring is to place an order for XPS 2015 windows edition – remove windows, and load fedora/mint as posted in major io’s forum. I meant to get back to you. I learned yesterday that the previous version of the XPS 13 was EOL’d when the new gen launched with Windows, which is why the developer edition is not available online. The next gen dev edition will launch as soon as we squash the outstanding bugs. I ended up ordering Dell XPS 2015 windows edition. I will be loading linux, as soon as all bugs are quashed. Any chance you’ll offer a configuration with 16GB? Unfortunately no 16GB offering this time around. If you’re interested, the new Precision M3800 developer edition comes with a 16GB option: http://www.dell.com/us/business/p/precision-m3800-workstation/fs (choose the “fully customizable” option on the far left and then on the next page choose “Ubuntu” under the OS. I’d like to blow away Unity and it’s dependencies and install Xubuntu on this. Do you guys provide PPAs or a downloadable .deb package that installs any non-mainlined drivers? Also would the PPAs/.deb packages include any configuration file modifications you guys do to the default Ubuntu install (ie. trackpad, video, touch, etc. configuration files)? Also, do you guys support Ubuntu’s LTS Hardware Enablement stacks? For example, if you guys provide PPAs/.deb packages, do you guys make sure they don’t conflict with LTS Hardware Enablement stacks or will everything just break if someone tries to install the enablement stack? I recommend calling Dell directly – I purchased online, waited a week and they canceled my order because of validation issues at manufacturing (confused about Ubuntu). I just replaced order and additional wait time. Im sorry about your experience. Still waiting on more info for the 2015 version of the xps 13. I have ordered the windows version of the laptop but I am wanting to get the developer edition if this is going to be made available. Have a limited window to get this. Need this info from you Barton. We are still working on a couple of bugs but will release 2015 ver of XPS 13 developer edition as soon as they are squashed. Sorry to spamming the same question over and over again (3:rd time around). But I don’t see anyone else knowing the answer, and I see others looking for the same answer. Is there going to be any different hardware in XPS 13 Developer Edition compared to the current available XPS 13 windows version (EU) ? If that is not known right now, then just answer that that is not known and could be the case. Order for a new laptop is going to take place today. Still managing to stall the order taking place, heat is turned up now so no more stalling. Promised to give an answer in the beginning of next week. Really disappointed in not getting an answer. Continue to find the exact same hardware question asked elsewhere and no answer even that you guys are answering other questions both before and after HW-question. Why not just tell the truth, you must be discussing the HW setup of the developer edition. I’m changing my mind every day now if I should order the XPS 13 Windows version and install it myself or not… Right now I’m thinking to go safe, and NOT get the XPS 13. I totally agree with Johannes, it would be great to have some info on the European hardware, for me it’s the difference between waiting and buying the XPS13, or buying another brand as the touchscreen versions are too expensive. Is this the right place to track them? Now I’m confused – I picked up an XPS-13 in November (2014) a month after the support blogs (and @Barton) said that the coil whine hardware and some other bugs were fixed and that Dell had replaced all the old/broken XPS-13s with new ones and stopped shipping the old/broken ones. No big surprise, I receive one with the coil whine and despite the year service contract I am told I can’t exchange it. Now after several months of using the XPS-13 with the factory 12.04 LTS build, it’s slowly upgrading itself into an inert chunk of metal – first the audio went away, and then videos in chrome. Then xserver got updated and now I have a single-user mode, no-GUI machine that I can’t even restore to factory settings because the net (and Dell.com) is full of contradictory information. I can’t find a Sputnik version of the iso anywhere online either – just some driver bundles that aren’t useful without docs. It looks like much of the dev resources are going after the M3800 now because it’s sexier to work on. Wheee. Not asking for consumer-grade support here, but throw us a line will ya? Who can we talk to or ask for help? Im sorry to hear about your experience. Let me look into this and get back to you. Barton, any news about the Linux version for XPS 13 2015? Can you give us an estimate of when the bugs will be fixed? With all the new laptops that have been launched recently, it’s getting harder and harder to wait. Unfortunately, the uncertainty and lack of updates may cause me to pull the trigger on something else. I would also appreciate some info on whether the DE hardware will be identical to the Windows hardware, and if the Ubuntu installation media will be available for download when ready. Unfortunately I have to leave the country in a week and a half and can’t wait any longer for a new laptop; if there’s going to be different hardware, I’ll have to get a different brand, but I’d really like to see this work! I understand the “voting with your dollars” argument, but Dell needs to sync up the releases in that case. Barton, can you speak to battery life for the XPS 13 running Ubuntu vs. Windows? On other computers I’ve dual-booted the battery lasted longer when running Windows than with Ubuntu. I suppose the manufacturer supplied drivers knew the idiosyncrasies of the hardware under Windows. @rrcook: I’m running Fedora 21 on this device and get around 10 hours of battery life. I want to buy this laptop with Linux installed: however I live in Australia which might mean I’ll never get an easy way to get it delivered. I was thinking of buying the Windows version, and installing Linux once you guys fix the bugs that prevent it from working flawlessly. 1) Will installing Linux (after formatting the hard drive and saying goodbye to Windows, no dual boot) be fairly straightforward on this machine (I have done many Linux installs, but here I am afraid of some locking mechanism implemented by Windows)? 2) Will the bug fixes you are currently working on be made available? or perhaps be included in the main Ubuntu distribution? In other words can I benefit from your team’s bug fixes when I decide to wipe Windows and install Ubuntu on my machine? I did not make this clear in the above comment: I am after the Dell XPS 13 2015 edition, with Linux install. I heard back from Barton despite Dell pinging him directly (twitter). Sales guys in Australia say it’s not going to happen, so I just went ahead and got the Winblows version with one of their generous coupons. Our goal is that all the drivers and fixes will be upstream, but this won’t happen by day-one that the developer edition goes on sale. If you don’t run our factory image, you’ll get the current best results using a near tip of tree kernel (such as 4.0-rc4) on a stable distro like Ubuntu 14.04 or Fedora 21. We’re working on upstreaming all fixes, but if you can’t (or don’t) purchase the developer edition, you’ll need to follow one of the blog posts that outlines various fixes needed until we have everything upstream everywhere. Depending on what distribution you select will depend on if you have to disable Secure Boot. The current Ubuntu and Fedora distributions should have signed bootloaders that won’t require you to turn off secure boot. Sorry ive taken so long to respond. Unfortunately the XPS 13 developer wont be offered in Australia at this time. If you’re interested the beefier Precision M3800 developer edition should be available. Im really hoping that some day we can bring the XPS dev ed to Australia. holding out getting harder here, too. Will drivers be available in a download to put on a USB stick or something in the case of re-installs? As should be evident by A02 still fixing things, we’re wanting to make sure the experience is superb before putting the developer edition on sale. Our goal is that all the drivers and fixes will be upstream too, but this will take some time. Any chance of a “Notify Me” list for when the new model is released in your region (ideally) or globally (minimally)? I tried to order one of these, but Dell refuse to ship to Canada from the US and the Canadian Dell refuses to carry them. I even tried to give Dell a US address to ship to, but they refused my credit card and paypal because the billing addresses were Canadian. There is no point in getting one if I just have to install a vanilla Ubuntu, and then go through all the customizing. are you talking about the XPS 13 or the M3800 developer edition? I’m interested on this laptop, is it already on sale? I can see a dell xps 13 with ubuntu on the italian Dell website! Unfortunately, it’s an i7, 8GB RAM, 512GB SSD, QHD touch not customizable yet (I would like to buy an i5, 8GB, 256GB, FHD non touch). Are there some news? Will other configurations be available for the developer edition? Thanks Barton! Sorry I didn’t see/read the post from Fernando. I think that it should be the old version listed on the italian website. It seems that the information provided by the Dell italian website are continuously changing and there’s often lack of coherence recently. Moreover, I found out that the information you get about xps 13, depends on the navigation path you follow. I m probably wrong but if you’re in contact with them, I think it’s also a thing that should be checked. I would also prefer the 1080p non-touch version with intel wireless adapter. It seems like the release of the XPS 13 developers edition is getting close. My thanks to you and your team for taking the time to iron out the remaining bugs before shipping a laptop. I look forward to placing my order as soon as it is available on Dell’s USA website. I can see a dell xps 13 with ubuntu on the Danish Dell website! Unfortunately, it’s an i7, 8GB RAM, 512GB SSD, QHD touch not customizable yet (I would like to buy an i5, 8GB, 512GB, FHD non touch and intel wireless adapter). This page shows a ubuntu version of the i5/non-touch xps 13 – but the page also mentions windows – is this the real deal or a mistake? We launched over the weekend. We are waiting to make noise about it since when we launch sometimes when we launch there are a few web pages glitches. Thanks for clarifying. Have placed my order now, am excited! That’s exciting! I do not see an Ubuntu option in the US store though. Am I missing it or is it yet to be released in the States? We are working on getting it posted to the US site. Fantastic news. Also waiting with wallet in hand. 1/ Is there anyway to get this discount? 2/ Can I get it in US keyboard? 3/ Can I get the FHD screen? 4/ will it support the USB3 4k dock? This laptop series is so close to being perfect compared to a Macbook Air. I had a first gen Sputnik but ultimately I got rid of it because of two things that drive me crazy about it. The first is the battery life is terrible compared to my Macbook Air with both running the same versions of Ubuntu. The second, and this is even a bigger issue coming from the Air, is the trackpad. It’s just as good as Apple’s except for one very important thing – the Dell model has the left/right click divider on the trackpad. Why does it need this since you can do two finger click? This is a usability nightmare since if you’re using your laptop in the dark, you can see if your fingers are in this area or in the general area and it’s a really frustrating experience. A left/right click area is so early 2000s…bring it forward and just have a fully available trackpad surface that accepts single and multi-finger touch input. Then this laptop will be the best to run Ubuntu on. ..oh, and I get about 11 hours out of the battery from this XPS13 9343 doing network admin work. Interesting, so that’s on the last released Sputnik? I assume it’s not the one we’re talking about here. I wonder what the point of the line is then and why not do away with it altogether? PC vendors need to innovate because Apple is kicking their butts by providing really desirable and high quality hardware. This is on the upcoming Sputnik Gen4 hardware ..purchased the Windows version in February and installed an Intel Wifi/BT and Fedora. …and I agree, on this device it is simply a white line, nothing more. Can you give us an estimate about the availability of the ISO image for the XPS 13 unlucky early birds please? So we can install Ubuntu or Mint on the new XPS 13 and everything will work out of the box ? Is there any specific package to install ? It seems like the website is still being worked on, as there are still some pictures of the old XPS 13 model. I was referring to an earlier comment that mysteriously got lost when I logged in to my wordpress account.. I said the US model is now available (thinking it was by looking at the pictures). Sorry about the messy page, the XPS 13 developer edition should be available next week, fingers crossed in the States/Canada. You can order it now!! The website still says “with 4th Gen Intel Processors”, but the “Add the cart” buttons for four new XPS 13 models (w/ 5th gen CPUs) are active! Unusually, the CAX13UBUNTUS5127 is an i7+/8/512/QHD+ configuration which doesn’t have a Windows (or European) counterpart. Barton – when I try searching for “Linux” on dell.com, it gives me confusing links like http://www.dell.com/us/business/p/xps-13-linux/pd?oc=cax13w8ps5101&model_id=xps-13-linux&l=en&s=bsd which then says “Operating System: Windows 8.1 (64Bit) English” on the TechSpecs tab. The four models listed have no customization options. I’m mainly interested in a no-touch i5 but with a larger SSD than the 128GB listed, preferable 512GB. Do you know if there will be more options in the future? About the same issue here. I am interested in a FHD i5 with 8GB of RAM and at least 256GB SDD storage. I’m really excited to see the new XPS 13 dev edition launch, but are there any details on availability of it in Canada? Ditto on Canadian demand. Seems they really messed up the roll out coordination. Hey Barton, here is another Canadian. 🙂 I highly value your engagement with us here! If you happen to speak to Dell Canada, can you please suggest that they offer a Canadian French or Canadian Multilingual keyboard? I’d even swap it out myself. Or, even more progressive: A Dell initiative for worldwide availability of various keyboard layouts – for a moderate extra charge and of course longer deliver times. Your customers have become very mobile. The market has become almost Babylonian. This is an opportunity for Dell to distinguish itself from the competition. I am really exited about making this commitment and be switching over to something other than Microsoft, Apple or Google. Thank you Barton and your team. Would there ever be a Dell XPS 15 with infinity display? With or even without developer edition. Following up on the discussion about the Dell XPS 13 Developer Edition available on the Italian website. I chatted with the online customer care and they said that the Ubuntu 14.04 OS is exclusively in Italian and that the user cannot change the language settings to English. Is this really accurate? Would 100% buy it if the change can be made! I ordered mine with a us keyboard from the Spanish site but I had to do it via chat – it was impossible via the website. Because it was so difficult I forgot to order and extra power brick or insurance -so dell losses out. It was a real pain and would have been much easier on the apple site. The USA option should always be available – dell needs to get their act together. There’s no chat option on the Austrian site, only twitter (which I tried), I also called them in person, but any way I tried they wouldn’t do it. It shouldn’t be this hard to buy a product that’s available. Although online no configs changes can be made, an English keyboard should be possible to order offline (via chat or on the phone). Let me try to find out why this didnt work in Austria. I bought my developers editon and it arrived last week. Anybody hear work on the USB3 ‘dock” DL3100 and the video drivers. I purchased the dock, not realizing that the video drivers was an issue…. so I have just a glorified USB3 hub for now. Okay, I updated to BIOS A04 this morning and so far I have not seen this stuck key issue again. I will post again if I see it. Running xubuntu 15.04 my largest remaining complaint is that Dell shipped me a Broadcom BCM4352 in a laptop marketed for Linux. Could you please provide the working Ubuntu 14.04 LTS installation image for normal Dell XPS 13, since unfortunately Dell XPS 13 Developer Edition won’t be available in Australia? Just flash BIOS A04 and install 15.04. That is the best turn key solution for right now. Which is to say that 15.04 works a lot better than 14.04, especially around the trackpad. Very interesting. My trackpad also is somewhat erratic. I am running the developer edition of 14.04. Q1. What is the best way to upgrade to 15.04 – Re Install, or do an Ubuntu Distro Upgrade Q2. Do I have to flash the BIOS before I do that? If yes what tool would I use? It looks like all the stuff on the Dell site for BIOS upgrades is Windows oriented and I do ont have Windows on the machine. So bad I want to go back to Windows. BIOS A04, Ubuntu 15.04, and an Intel 7265 Wi-Fi module made mine usable. I can’t believe they shipped any other way. Updated to 15.04 and the Display settings have stopped working. There are no options for selecting the resolution and no effect when adjusting any of the other settings. Please help! XPS13 developer editions seem to have been withdrawn from the German dell website (where I live) and unavailable to be bought from the .com website. Windows versions are still sold as usual. Did they pull them out because of the bugs? super. Thanks for the info Barton. Nice work getting things this far. I hope the number of comments speak for the level of interest there is in a solid quality Linux machine that just works. Hi George, could you comment on the re-released version of this laptop. Has all issues been really fixed? I am holding the ‘buy’ button until hear all major problems are gone. Thank you, very good progress there!